Where Do You Turn When Motivation Is Low? I’ve always viewed myself as a self-motivating individual. Most of the time, I can find the inner desire and strength to pursue a challenge without much outside influence. But like anyone else, I have phases when motivation ebbs and flows, and I need to reach for some inspiration. And then there are the open water swims of life; those times when getting kicked in the teeth is not enough - but swallowing a gallon of lake water and getting pushed under from behind leaves you feeling hopeless, and spiraling towards defeat. It is in those moments we are all tested. Will you do what you said you would do? Do you have what it takes? Entrepreneur and author Jim Rohn once said, “Motivation is what gets you started. Habit is what keeps you going.” For many fitness-related obstacles, this holds true. When motivation is low, we look to the success of others, seek out a new challenge, or find a bright spark of inspiration that offers hope to get us moving. 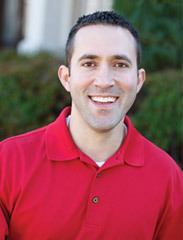 In this issue, be sure to check out our interview with Metabolic Specialist Nate Billings of Life Time Fitness. Nate is not only approachable, but energetic about providing others with the tools to better themselves. He is someone who can lead and motivate us when we stumble, and applaud us in our success. Sometimes to light a fire underneath us, we just need to run after something new and cutting-edge. We need to discover a new adventure to make us feel alive and give us a new sense of accomplishment. Take a moment to read about one Tulsan’s excursion up Mount Kilimanjaro. Read about his team and their challenges, the humorous lessons learned, and most importantly - the reward at the summit. And what about the times when we’ve completely fallen down? Those times in life when we don’t see an end to our struggles? We’re overjoyed to know young Hannah Jordan, who has the attitude of a champion. A former Make-a-Wish child, she has overcome the odds to inspire a cycling community, restore hope to those who’ve given up, and encourage us all to dig deep and discover our own potential. While I like to think I will have the inner gumption to take on the next obstacle, there will inevitably be times I cannot do it alone. A strong dose of encouragement and inspiration can go a long way. A powerful story of overcoming the odds can help us refuel. It can help us climb back on the horse towards reaching our goals. It can help us form the habit of conquering today's challenges.